Global experience marketing agency George P. Johnson (GPJ) has opened its new Norway office within the Telenor Arena in Oslo, Norway. The agency’s impressive new business performance to date and growing team has demanded larger premises. 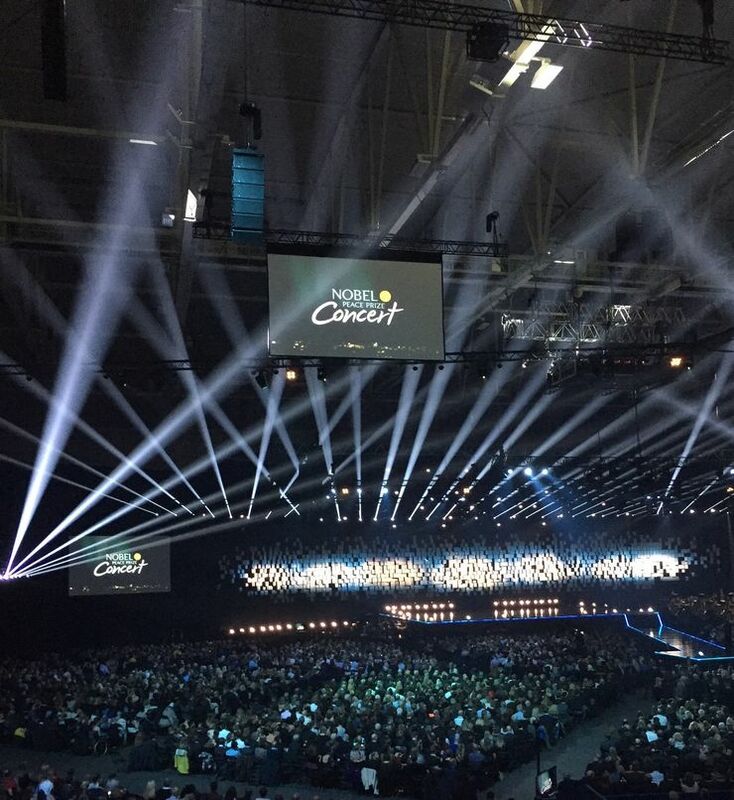 As of last weekend, GPJ are proud to call the Telenor Arena its new Norwegian home. Telenor Arena is Norway’s largest events venue with a capacity of 23,000, and has hosted world renowned acts such as the Eurovision Song Contest, as well as concerts by artists of international fame, such as Justin Bieber, Lady Gaga, Beyonce and The Rolling Stones. Christian Stenseng (County Manager, Norway) and his team held an exclusive launch party for its Norwegian clients and prospects, journalists and industry influencers at its new office within the walls of the arena. A unique benefit of GPJ’s new address at the arena is its integral relationship with the venue – as part of the agency’s launch event programme, its guests were escorted to the arena floor itself, where the evening continued in truly world-class style, watching the Nobel Peace Prize Concert. Over 8,000 people paid tribute to this year’s Prize Laureate, President of Colombia Juan Manuel Santos, awarded for his resolute efforts to bring the country's more than 50-year-long civil war to an end. Acclaimed artists from around the world performed, such as Halsey (USA), Marcus & Martinus (Norway’s latest pop exports), Icona Pop (Sweden), Juanes (Colombia) and Sting (UK), whilst the concert was hosted by American television host and comedian, Conan O’Brien.